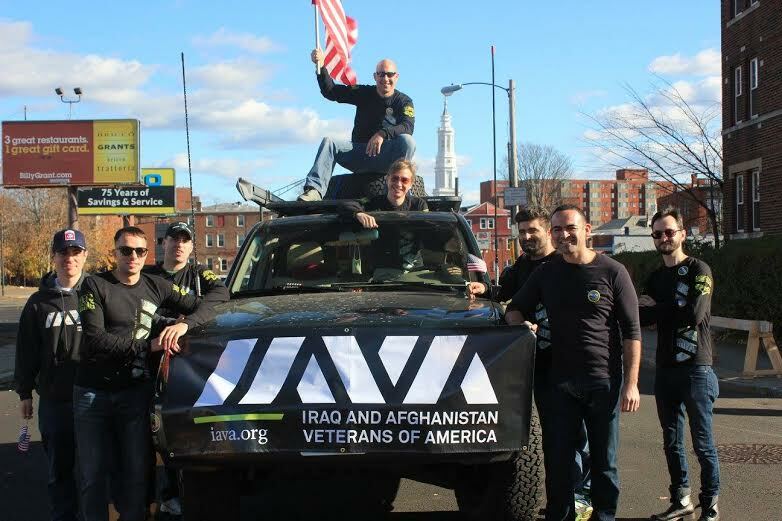 In a series of Q&A’s, IAVA is sharing what #VetsRising means, and is, to our members. 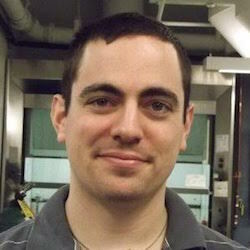 Meet Steve Kennedy a U.S. Army veteran who resides in Fairfield, CT. I had a pretty rough transition from the Army dealing with serious depression and isolation. I was fortunate enough to have an incredible support system in my wife and family, but one thing that I really needed was a connection with other veterans. Even though I was getting help and really moving forward in my life, it was still a few years before I actually got involved in the veterans community. My feeling was always that if they weren’t the people I had deployed with, I didn’t really care. In my experience, you spend a lot of time in the military sizing each other up and looking down on other units or branches. Even though I think that can be helpful in building cohesion within your unit, it also makes you less likely to connect once you’re out. For most of us, however, the people from our units are all over the country, and it’s hard to stay in touch the way we want. I didn’t realize how much I needed the connection with other veterans until I went to my first IAVA event. I chose well. The first event I attended was the 2012 Veterans Day Parade in NYC, which is basically IAVA’s Super Bowl. It felt so good being with other veterans who had context for my experience and, in many cases, had similar experiences themselves. Being able to talk to people sharing at least some common perspective felt really comfortable in a way I had not felt for a long time. No matter what branch they were in or what their MOS was, I had more in common with everyone there than with most of the people I saw every other day. So no matter what our differences, we were alike in really significant ways. Those differences that had seemed so big before, felt a lot smaller once I saw the value of that basic understanding. When IAVA launched the VetTogether program, I knew I needed to get involved so as many veterans as possible could have that same experience. I love the idea that we’re making every day Veterans Day. As we continue to build, no matter where you are, you should be able to get together with fellow veterans and hang out in a community that understands you. Whether we’re discussing the issues that bring us together or not, we can feel good knowing that we all get it and we all have each others’ backs. You’ve done a lot of great work in organizing family-friendly events like rock climbing, hockey games and in doing things across the state of Connecticut. Why did it feel important to approach building community locally in those ways? The only thing that made me go to my first event was convenience. I had been out of the Army for three years before I went to my first veterans event. In that time, I had lived in Boston and New York City, so there were plenty of veterans organizations around, but I never thought that it mattered to me to get involved. I only went to my first event because it was in my area at a time, and I didn’t have anything going on. I remember it was the IAVA Veterans Day parade just after Hurricane Sandy, when I hadn’t yet gone back to work. I want to replicate that experience for as many Connecticut veterans as I can. For me, my first IAVA event really opened my eyes to how much I had been missing by disengaging from the veterans community. I got involved as much as I could from that day forward. It’s been the same at our events. 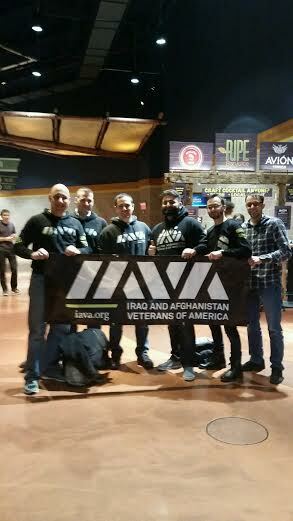 When we can get our fellow veterans to an event, and have them feel what it’s like to spend time with their brothers and sisters through IAVA, they almost always come back. The veterans community in Connecticut is very spread out, so it’s difficult to hold events in one place and reach a lot of people. To make it as easy as possible to join us, we spread out as much as we can. Holding events across the state makes those who felt like I did, who may not join unless the stakes are low, come out and see what it’s like. The hardest part is going to that first event. You will never realize how much you miss being around people who know where you’re coming from until you actually do it. So get involved! As for engaging families, we always try to mix up our events so that people can be involved in different ways. Every once in a while it’s nice to have a veteran-only event, but for the most part, some of our best events have involved the entire community. Whether it’s spouses, kids or just supporters from the community, the more integrated we are, the better. In addition to all of the time you spend living and going through difficult times together, part of the camaraderie of the military is being involved in each other’s lives. Your families know each other and go through the experience of deployment together. Bringing our families together allows them to connect and makes it more likely for veterans to be able to connect as well. We want to build a support system, and that can only get stronger by including as many people as possible who have a stake in our community.